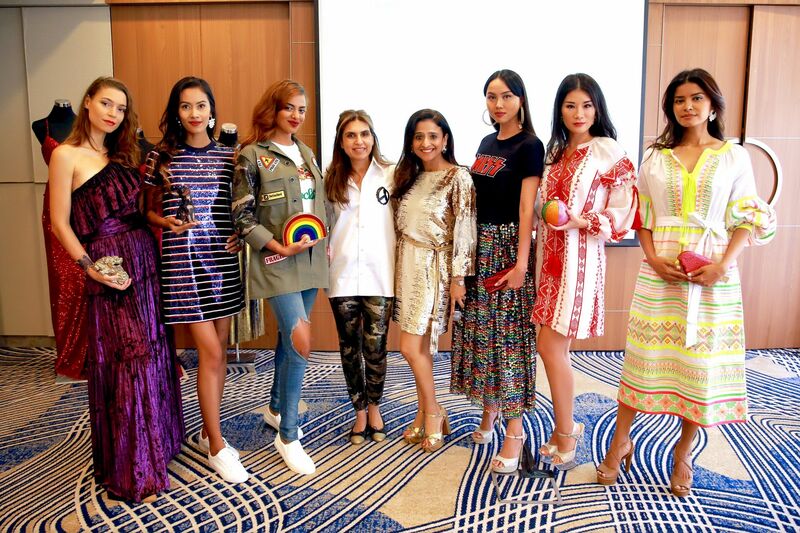 Fashion lovers were in for a treat as Samia Khan, the founder of fashion platform Melange Singapore, curated a trunk show at Hilton Singapore featuring some of the newest pieces from four highly sought-after designers. Models strutted out in the latest Monisha Jaising couture pieces, and they were showcased alongside the Indian designer's namesake couture brand MxS—a new luxury clothing line inspired by pop culture and women of all ages and sizes. Newly established last September, the brand is co-designed and founded by Shweta Bachchan Nanda, daughter of the legendary Bollywood actor Amitabh Bachchan, alongside Monisha Jaising herself, who aims to inspire confidence in those who wear their outfits. Gold-plated accessories by Isharya, a modern Indian jewellery brand, and Judith Leiber clutches, a renowned American designer with her over-the-top crystal encrusted embellishments, accompanied the runway looks fabulously as well.